Computer games are potent psychophysiological stimulators. Games mix elements of reward, empathy, and loss; they are rich with visual imagery and sound; they enhance attention, perceptual and executive skills; they demand planning, decision making, competition, and adaptive reactions. They can be exciting at times and frustrating at other times, as they push the players to learn, improve and win. Games have claimed a significant portion of the cultural capital of the young, and their health implications in the younger population have long been studied. But it is only recently that researchers have turned to study the potential benefits of games for the aging population. Commercialized brain training games are introduced to improve reasoning, memory, planning, visuospatial skills, and attention. 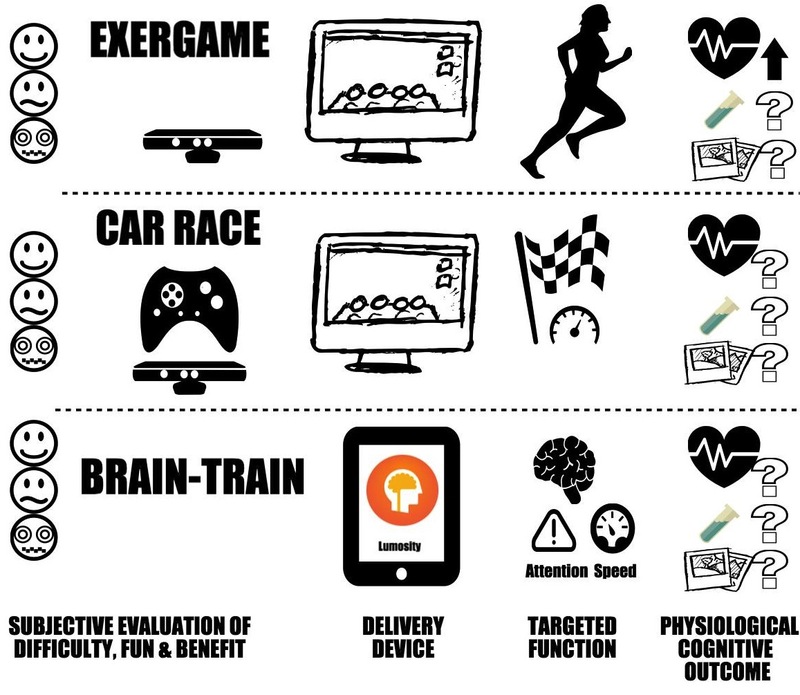 Computer-coached physical activity games (known as exergames) are promoted to increase the well-being by increasing cognitive and physical activity. Virtual action games such as simulated shooting, racing, or navigating a maze create opportunities for inter-generational contact and communication, breaking the isolation seal. The outstanding questions, for both clinical researchers, and for game designers, are: Can game interventions be clinically effective? Which games can produce quantifiable psychobiological benefits? How to help older adults to take advantage of games? The "Gaming Older Adults" project investigates these questions in the same manner that pharmacological researchers study drug effects, except that instead of drugs, we administer different games. Our primary aims are: 1) To identify parameters that are sensitive to game-playing (e.g. stress from cortisol in Saliva, arousal from heart rate and skin conductance, and cognitive and emotional measures); 2) To compare how these parameters change with respect to age, gender, skills and personal preferences and enjoyment of a player; 3 to identify which games are more likely to be beneficial and to evaluate their long-term impact on the mental and physical well-being of older adults in follow-up studies. - Fill the survey above. - Fill the medical screening questionnaires (This is to ensure your safety while you play games, and rule out the risks of falling, hypertension, etc.). - Be willing to visit us three times at PERFORM Centre (address) on a specified schedule. Detailed instructions will be provided before scheduling your visits.